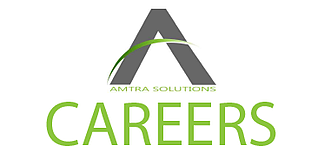 AMTRA Solutions is a provider of Professional, Managed Services, and Resourcing Solutions. AMTRA is a Microsoft Gold Certified Partner that focuses of Windows and Devices, Intelligent Cloud Solutions, Data Platform, and Office 365 Modern Workplace solutions. AMTRA has developed an exclusive solution we call Modern Device Management (MDM). MDM is a service that optimizes efficiency, increase security and improves collaboration on the Windows 10 platform. MDM is designed and delivered “As A Service” by providing SECURITY | Staying ahead of attackers with continual Windows 10 improvements, PRODUCTIVITY | adding new features twice a year that add value and improve productivity, and provide DEVICES | that provide integration, performance and battery life enhancements as they continually refresh. Our MDM Solution minimizes end user disruption, with fewer changes with each release. This role has two primary functions. Firstly, the individual in this role operates as a senior level customer liaison, that is responsible for the delivery, and the delivery team of the MDM Service across multiple Customers. This includes initial discovery, service implementation and transition to sustainment, as well as maintaining, reporting and taking corrective action and ensuring services meet SLOs and SLAs across subscribers. Secondly, this individual is a technical thought leader, that works with our architectural team, with a strong technical and process driven background. This individuals is a hand-on active member of the support team, yet is always looking for ways to continuously improve upon the service levels as new technology evolves. The MDM SDM establishes open lines of communication and trust relationships with key customer stakeholders as well as internal team members. A key responsibility of the MDM SDM is to build and drive adoption of best practices and methodologies that support best in class services excellence. Lead the Service Delivery of MDM across new and established customer base. Manages reporting around key MDM SLAs and SLOs. Provides technical thought leadership around MDM maturation and continuous improvement. Oversees all facets of MDM Service Delivery. Tracks trends and makes amendments as necessary. Make recommendations for, and champion, process improvements. Actively drives team members to continuously raise the bar on operational performance and technical capability. Interface directly with clients as a trusted advisor at a senior level, discussing issues and questions relating to MDM Service Delivery. Implements a resource management plan for MDM delivery and growth; reporting requirements and ensuring staffing and hiring plans are in place. Chairs monthly operational reviews with customers, to report on targeted versus actual service levels, and provides corrective action plans where required. Provides documentation and governance around the MDM Service, in order to ensure that it is predictable and replicatable. Reports MDM Service scorecard to AMTRA Executive. Schedule and lead the AMTRA monthly presentation, including the dashboard and highlights from previous month’s efforts from the team. Facilitate discussions and recommendations for service scope changes based on added responsibilities. Create a central OneNote repository of standard operational procedures and ensure all ops techs are using and contributing to this repository. Coordinate rotation of techs to AMDM clients for back-fill-ability training and to ensure that everyone follows the same ops procedures. Needs to be a strategic thinker as well as low level understanding of technology and processes.